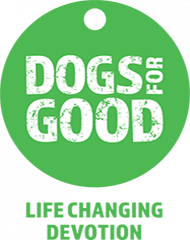 We provide the very best dog home boarding near you in Camberley, Fleet, Farnborough, Aldershot, Hook and surrounding area. Dogs deserve a holiday too! Hi I’m Trisha and I’m delighted to offer you the very best dog home boarding service near you in Camberley, Fleet, Farnborough, Aldershot, Hook and surrounding area. Professional one-to-0ne dog sitting near you. I know it can be stressful arranging your own holiday never mind worrying about where your dog is going to stay. Allow me to handle all of your four legged friend’s arrangements – giving you complete peace of mind. 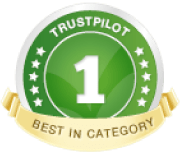 I know first-hand that Barking Mad offers the ideal hassle-free service for both yourself and your dog. Whether you are going away on your summer holiday or for a long weekend, I will always ensure your dog is perfectly matched with one of my great local hosts. 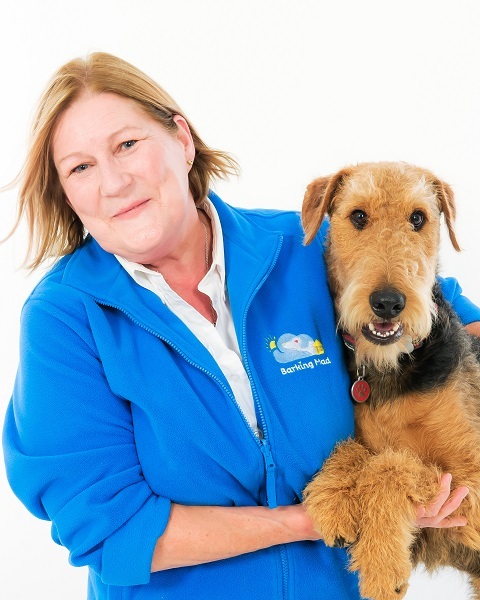 Hello, I’m Trisha and I run the Barking Mad franchise covering Farnham, Farnborough, Fleet, Camberley, Sandhurst, Yateley, Hook … and all the places in between. I live in Farnham with Fraser my adorable Airedale, as well as my husband Richard – you can see where my priorities lie! A number of years ago we were going away on holiday and a friend recommended Barking Mad’s home from home service. When Fraser returned home we could see for ourselves that he’d had a wonderful time with his host family, and we loved the great pictures & postcard. We never looked back. Having run my own business in the past, I jumped at the chance to take over the franchise when it became available. Don’t forget your dog deserves a holiday too! If you would like to find out more about the Barking Mad service, arrange for your dog/s to have their own holiday or become one of my very special host families, I would love to hear from you.